You couldn’t just say they were wrestling? “Mom, what are they doing? Why did someone put them there?” -I don’t know. Why are you complaining? 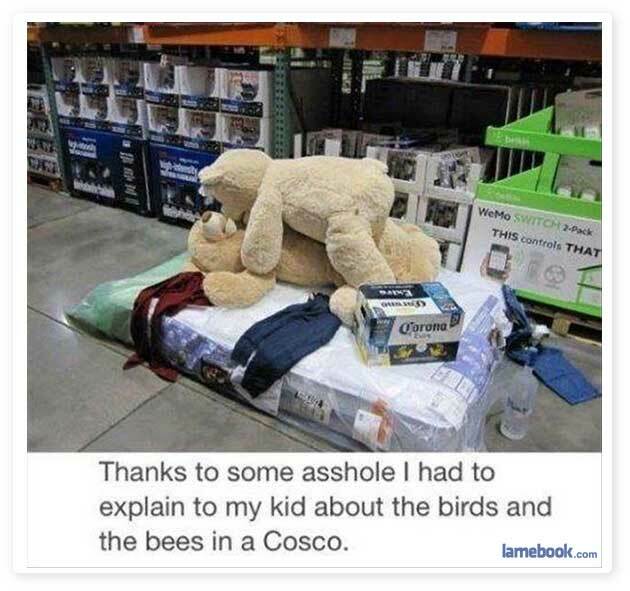 You’re the one who took your kid to a Costco. ^ Free Sample Day is a very inexpensive and exciting lunch for starving kids.